Is what you're hearing true? Ever wonder if there is more to the story than what you might be hearing? Check out the latest Fact Check for more information on the following topics and more. The city of Marine has expressed an interest in purchasing Marine Elementary School and asked the school board to engage in conversations about the sale of the building. The district, however, is unable to talk about the future of the schools slated for closure due to a stay resolution that was approved in April 2016 at the request of 834 VOICE. Read more. A recent news article alleged a conflict of interest against a district employee and the district’s financial advisor. It is important to note that the State Auditor has twice issued opinions finding no statutory conflict of interest arising from this relationship. Read more. The teachers and support staff who will be working at Brookview Elementary School next year had their first chance to see their new school on Tuesday. Principal Mark Drommerhausen led the crew of nearly 30 people on their first tour of Brookview. Staff were able to see their new classrooms, explore the cafeteria and gymnasium, and envision what the building will look like when it opens next fall. See more photos online. Please note that Skyward Family Access will be down for maintenance for 24 hours beginning at 6 p.m. on Friday, Feb. 10 through 6 p.m. on Saturday, Feb. 11. You will be unable to access any of the information in Family Access during this time. We thank you for your patience as we upgrade our systems. Students in the Communication Interaction Program (CIP), most of whom struggle with communication and social skills, stepped outside their comfort zone to perform a short play for an audience of parents, the school nurse and lunch lady, and other staff. 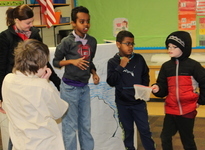 The Oak Park students acted out a play called "Tacky the Penguin," which told the story of an "odd bird" whose unconventional ways end up saving the entire penguin community from a group of hunters. Stillwater Area High School senior Alexander Pavlicin has been selected as one of two Minnesota student delegates to the United States Senate Youth Program. He also was awarded a $10,000 scholarship. Read more. Congratulations to the boys swimming and diving team for placing 2nd at the True Team state meet! True Team competition is based on the idea that every team member's performance counts toward the team's score in competition. Nearly 40 community members who serve on the Superintendent’s Community Advisory Council came together to consider the last 20 years as a way to better understand where we are and where we are going. They uncovered demographic shifts, budget cuts, successful levies, superintendent turnover, accomplishments in arts and athletics, and programming changes as just a few of the key events that have shaped the district’s recent history. Read more. Preschool is coming. Check it out! Preschool is coming to all of our elementary schools next year - offering all of our students access to our outstanding teachers, curriculum and more. 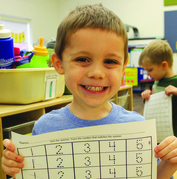 Parents interested in sending their children to our preschool are invited to attend Preschool Information Night from 5:30-6:30 p.m. on Thursday, Feb. 9. Visit with staff at our schools to learn more about our program and register for the 2017-18 school year. More info. Are you ready to party with a purpose? Mingle with parents, teachers and staff from throughout the Stillwater District to celebrate wonder in the classroom at the Partnership Party from 5:30 to 11 p.m. on Saturday, March 11 at the Prom Center in Oakdale. This is the one time of the year when people from across the district come together for a common purpose – to elevate the classroom experience for all our students. Proceeds from the Partnership Party fund enrichment programs for students at all Stillwater Area Public Schools. Tickets are available at www.Party2017.gesture.com.